Mouse loves to run, climb, ride her bike, get dirty and play soccer and superheroes with the best of them. Like many girls her age, my daughter also is enamored by princesses. She adores the Disney Princesses; although ask her if she wants to see a Disney Princess movie, and she will be the first to say no. It is more the idea of princesses--and the dress and tiara--I think. There are a number of reasons I am not a fan of the princess fad, but as a mother, I had a choice. Fight it and try to steer her in another direction (which I did attempt) or embrace it--with a twist. 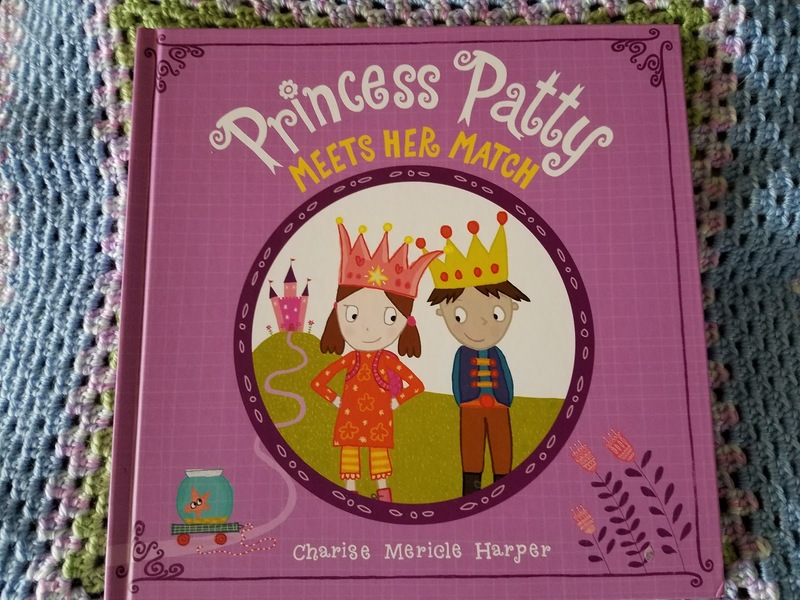 Fortunately, there are a lot of princess books out there that stray from the more traditional view of the princess young girls have been given over the years. Why can't a princess ride a dragon or climb a boulder? Do Princesses Really Kiss Frogs? is the story of a little girl who goes on a hike with her dad. 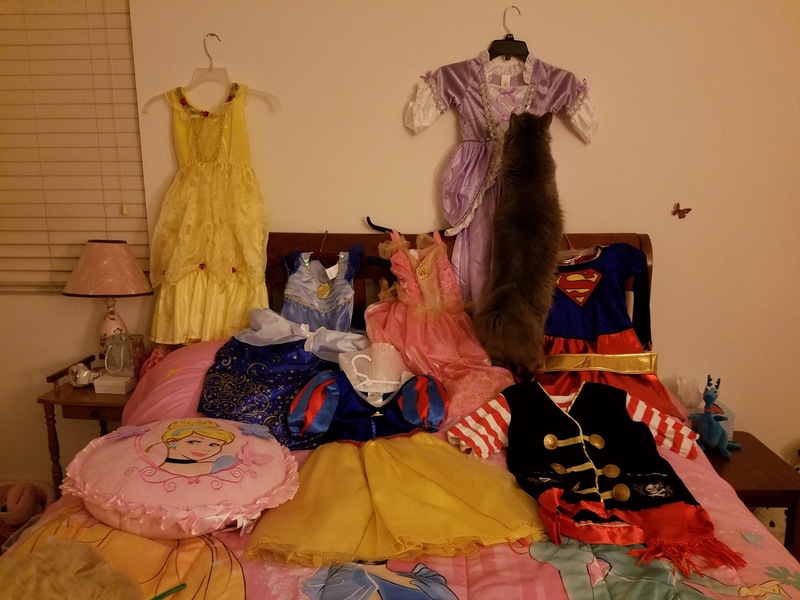 Along the way, she ponders about what a princess may wear or do or experience along the way. A princess is not so different from you or me. The illustrations are colorful and expressive and the story is simple. While Mouse is fairly adamant that she does not want to kiss a frog, she enjoys the adventure the father and daughter are on in the book. In the back of the book is a guide for a scavenger hunt. Mouse and I like to go back and look for the animals, items, and other things on earlier pages in the book. This is a fun one about a girl who by day is your average girl and by night is a princess going on adventures. She puts out a fire, enjoys a tea party with a dragon, joins a circus--and that's just for starters. It really is a great book--and I love the ending. This is one of Mouse's and my favorite princess books. My husband actually bought this one for my daughter. He has read and enjoyed Kate Beaton's past work, and liked the sound of this one. It's the story of a little warrior princess who no one takes seriously. When she asks for a real warrior's horse for her birthday, she is disappointed when she finds a pony instead. Mouse took an instant liking to this book (she can't resist mention of a birthday), and she finds it just as funny as I do. The illustrations are in true Kate Beaton fashion and fit the tale well. I admit I was not a fan of this one at first. A princess goes in search of a prince. Because every princess needs a prince, right? Argh! I hate the message that sends to young girls. Despite that, there are things I do like about this book. 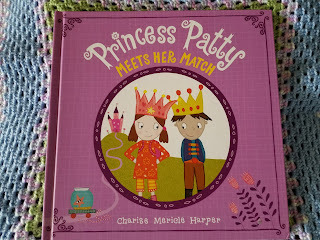 Princess Patty isn't one to settle--or wait for her prince to come to her--nor is she helpless. Along the way, she meets several different princes, some you may recognize, and proves quite helpful to each of them. None are her prince, however. Princess Patty is not about to settle. It is a cute story. Do you know of any princess-related children's books we might enjoy? Mouse's Costume Collection . . . And a Cat. Jill - I'm not familiar with that one, which is sad given it's a classic. :-( I will have to see about getting a copy! Thank you for the recommendation! Elizabeth - We haven't but I just ordered a copy. It looks really cute! Yay for independent princesses who do the rescuing! Hope you enjoy it, Munsch is a classic. I have mixed feelings about the princess fad but, not having a daughter, have not had to face it. I think you do a great job of balancing it out with other things. I haven't read any princess books but I'm glad there are some non-traditional ones out there. Kathy - I wasn't too eager for her to jump onto the princess bandwagon, but it was going to happen with or without me, I realized. Fortunately there are a lot of options out there for parents like me who want to support my daughter's interests but also not buy into some of the old stereotypes and gender pitfalls. We have some favorites! The Worst Princess by Anna Kemp, The Secret Lives of Princesses (really elaborate pictures), Princess Hyacinth by Florence Heide and of course the Paperbag Princess too. Jeane - I will definitely have to look for all of those! Thank you, Jeane. I ordered a copy of the Paperbag Princess because Icouldn't resist. The others I'll put on her wish list and hope a relative takes the hint (unless I cave and get them first). Oh what fun! All of these sound like so much fun to share. I love all her costumes too. Unfortunately my knowledge of Princess books are decidedly lacking. I do love that the Princess theme is being expanded to girls who can take care of themselves. I get on a soapbox of the dismissal of Princesses on a regular basis. Why is a pretty dress and a sparkling crown constantly devalued? Superheroes have their costumes and cars so how is that different? To me a little boy wanting to be a superhero or a policeman is no different than a girl wanting to be a princess but because princesses are considered girly it's devalued. Not the most coherent but trust me the actual rant is really really long and we don't have that kind of time! Katherine - Right now she'd rather wear a t-shirt on her head and pretend it's her hair than wear a costume. :-) I remember doing that as a child too. You make a good point. It's yet another way we, as a society devalue woman and girls, teaching them their likes and dislikes are not as important as boys are--and why being a boy is better. You've given me something to think about. What a great collection she has! I wish I had some recommendations but I haven't bought a book for a little one in a long time. Sounds to me like you're handling the princess issue well. Good job finding books about princesses with agency, who do things instead of waiting around to be rescued! 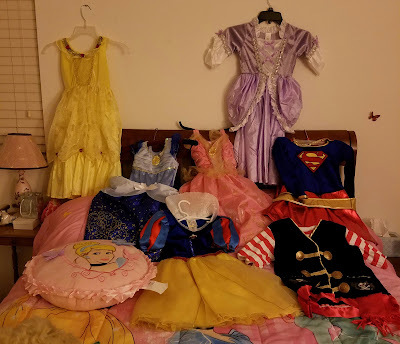 There was a time my girls adored princess theme so much; and yes even clothings, lol. I literally searched for "a really thick book of fairy tales" and Google is a magical place - I found it!! I loved "A Treasury of Fairy Tales" when I was a kid since it had so many fairy tales, and not just about princesses. The illustrations are gorgeous as well; it's probably my first hardbound book. I read The Little Match Girl here first and I remember thinking this wasn't the fairy tale I wanted...... But as I got older I appreciated it more. How great that princess books nowadays are more diverse! And subtly introducing the concept that girls don't always need to be rescued or for them to always have a Prince Charming! Nina - I loved fairy tales growing up. Beauty and the Beast has always been a favorite of mine. I'll have to look for A Treasury of Fairy Tales. Something like that would be a real treasure to own, I imagine! The Little Match Girl is such a sad story, yet beautiful in its own way. I read it for the first time only recently. 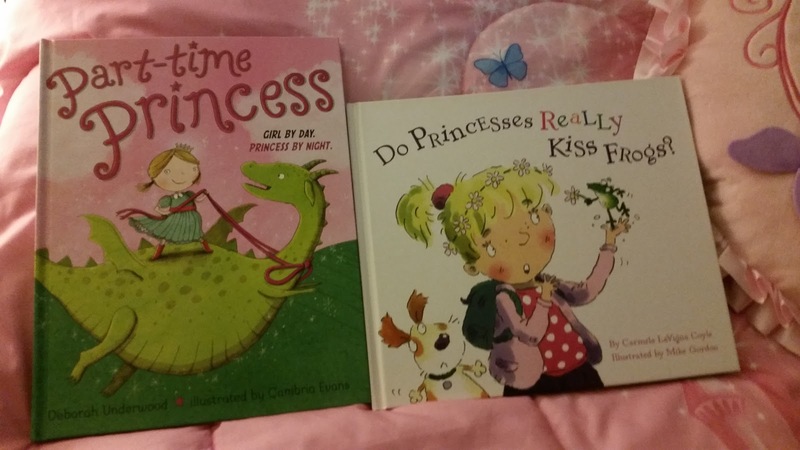 I am glad to see so much diversity in princess books today. They really have come along way. How cute are her costumes. It is refreshing to see books feature more independent princess stories as opposed to the traditional "princess needs her prince to be happy". That's why I liked Disney's "Brave". Have you seen it with your little one? Naida - I hadn't realized she had so many until I laid them out on her bed. LOL She loves to dress up. :-) We have seen Brave. Mouse isn't a huge fan of that one, I'm afraid. I think the bears scared her and then not knowing if the mother would live. She's not really into the Disney princess movies. She'd rather watch Nightmare Before Christmas or the Tinkerbell movies.